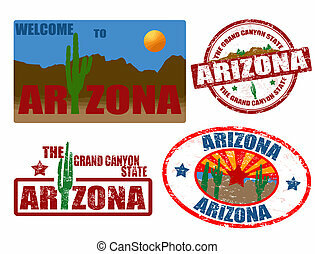 Flag of arizona. icon set. 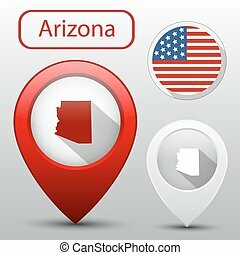 Map of Arizona. 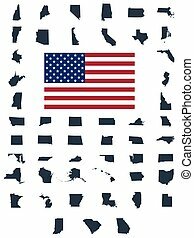 Set of flat design icons nfographics elements with American symbols. 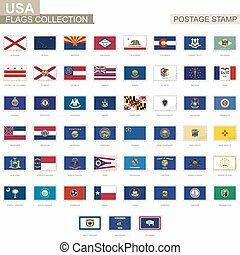 Postage stamp with USA State flags. 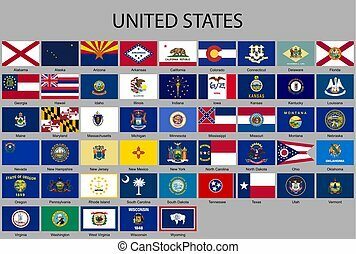 Set of 51 US states flag. Vector Illustration.